The Internet Bogeyman is dead. Common sense finally prevails. The Internet Bogeyman appears to finally be dying, and at (very, very) long last, common sense appears to finally be prevailing. 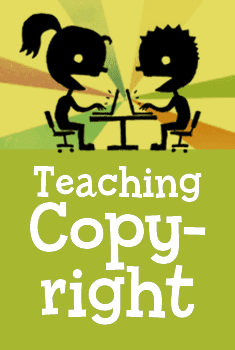 A recent CNET News article describes a move towards "digital citizenship" education. Rather than fear-mongering and the perpetuation of ignorance when it comes to Internet safety issues such as online predators, online dating, online bullying, social networks, viruses/spyware/malware, spam, and scams, people are finally beginning to understand that the Internet isn't going away, and that we'd better start teaching people how to actually deal with and (easily) avoid those threats. Of course, switching to a common-sense plan of teaching people about online responsibility and very basic technical safeguards is probably less lucrative than advocating paranoia, but it's another sign that the net has become mature when there are enough stakeholders interested in Internet safety that the fear-mongers have become outnumbered by those advocating a more moderate message. A paper mentioned in the article, Online Safety 3.0, calls for "moving away from fear-based messages toward an emphasis on media literacy and digital citizenship, including recognizing young people not as 'victims' but as stakeholders in positive Internet use. Instead of schools filtering out access to social-networking sites, we believe they should be incorporating social media not only to enhance learning but to promote responsibility." 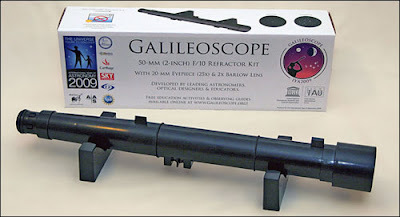 To celebrate the International Year of Astronomy in 2009, a simple, inexpensive, and well-designed telescope, called the "Galileoscope" is being produced. It costs $15 US plus shipping. I'd recommend going in on an order of 5+ with other people, as the shipping cost per unit drops dramatically at 5+. To ship a single unit to an exotic foreign destination like Canada costs $18.40 US, but for orders of 5+, the shipping per unit drops to $7.28, and drops further with 10+ orders. 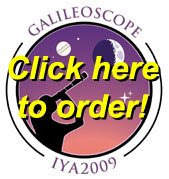 They also have a "Give a Galileoscope" program; when you order, you have the option of paying $12.50 more (the 100+ price) to donate a Galileoscope. The site also has a section for teachers which offers downloadable PDF activity guides to teaching optics and observing with a telescope. The IYA2009 site also has a variety of educational resources. To get the most out of a telescope, though, you should also download some free astronomy software. I recommend Stellarium and Celestia. Another good site for teachers and Galileoscope enthusiasts is teachingwithtelescopes.org. I just watched a great video called The Story of Stuff. It takes you through the life cycle of consumer goods and discusses the implications of it all. It's fast paced, engaging, and interesting. And it's only 20 minutes long, which makes it perfect for the classroom. There's even discussion and activity guides. You can play the video on any computer, but since most schools don't have the fastest net connections, I've saved a copy (just 50 MB) to my flash drive. I've also got a copy of VLC Media Player Portable on my flash drive, too, in case the school's computer has some ancient video player installed. For grades 6-8, this video is a great way to fill a 20 minute gap in the day with highly engaging and educational material. For teachers, there's a growing amount of educational video on the web in places like YouTube and TeacherTube. While full-time classroom teachers will be downloading clips around which they'll base lessons and units, occasional teachers will want to carefully choose a variety of videos to carry with them which address various grade levels and curriculum strands. Being prepared with a short video relevant to curriculum allows an occasional teacher to enrich a lesson, ensure that all instructional time is used efficiently, and demonstrates to students that you're an effective teacher. Once you've got your students' confidence, classroom management becomes a breeze. "If you put a billion dollars into tax cuts, it will result in 5,600 jobs. If you put the money into physical infrastracture, you will create 15,800 jobs for every one billion invested. If you put the money into public services like health care, you create 18,100 jobs for every one billion invested," said Rout. I'd like to propose a much, much, less expensive way to create jobs and bolster the economy. It involves an investment in public education; not in full-time teachers who already make a great deal of money, but by investing in occasional (substitute) teachers, most of whom earn less than the poverty line each year. Here's how it works... occasional teachers are currently paid less than the lowest-paid teacher on the salary grid on a daily basis. Their credentials and experience are not recognized. Nor do they receive benefits. It would cost about $35 million to give public school boards enough funding to provide benefits to all occasional teachers in the province. For a cost of approximately $65 million, you could give public school boards enough funding to pay all occasional teachers a daily rate that recognized their credentials and experience (the $65 million is based on an estimate of an average A3 rating with 3 years experience). What would this $100 million investment yield you? Well, ETFO alone has approximately 19,000 occasional teacher members (about 26% of all teachers). Making this investment would lift those occasional teachers out of poverty. So, right off the bat, you'll have transformed 19,000 precarious jobs into good jobs, with the ensuing economic benefits. But the benefits go beyond that, because most of those 19,000 occasional teachers currently work second jobs to make ends meet. So your $100 million investment will also make thousands more jobs become available to be filled by other people, as occasional teachers will no longer be in such dire straits that they require a second job. Occasional teachers will then also have the opportunity to focus on being teachers, which ultimately benefits the children in their care. Clearly, investing in occasional teachers is a simple and cost-effective way to make an enormous impact on both the education offered to children, and to the overall economy of Ontario. But an investment like this isn't going to happen unless awareness of this solution is brought to the attention of decision-makers. What will it take to make such an investment in occasional teachers happen? First, the message needs to be sent to the ETFO Provincial Executive. The teachers' union, which pretty much ignores the needs of occasional teachers, needs to be made aware of the impact redirecting some of its focus could have on Ontario's economy. The Ontario government and its Premier also need to be lobbied and made aware of the golden opportunity they're missing. Micro-blogging refers to "blog" services which are intended for very short entries. The best-known service is Twitter, which limits entries to 140 characters of text and has tightly integrated cell phone SMS message capabilities. Tumblr.com is a similar service, without the limitations on message length or content type. If a web site is a reference book, and a blog is a journal, then a Tumblr tumblelog is a notebook for jotting down quick notes that either don’t fit in other mediums, or which you haven’t gotten to expanding upon just yet. Tumblr.com is similar to Twitter or your Facebook Status, but it offers a lot more than just text. You can also post photos, video, audio, chat logs, and more, using an extremely easy to use interface. A tumblelog can also automatically import your blog feeds; if you have multiple blogs, your tumblelog can serve as a simple aggregator of your posts. If you’ve got a Tumblr account, you can "follow" other tumblelogs. You can also subscribe to a tumblelog via the RSS link at the bottom of the page (which, of course, you can replace with a FeedBurner feed). So what are some of the ways you can use Tumblr? On my personal tumblelog, I post updates similar to what I previously would have put in my Facebook Status (I've integrated Tumblr with Facebook), I post short comments and links to sites or articles (essentially it's my mental scratch pad for things I haven't had time to expand into full-length blog entries), and I've set it up to import my blog feeds. Tumblr is easily integrated with Facebook, Twitter, and a number of other services, and there are a variety of third-party add-ons available. On the tumblelog I've set up for the ETFO Niagara OT Local, I've set it up as a team tumblelog, allowing all the other Executive members to post to the tumblelog as well as myself. We use it for posting short comments and reminders that don't merit an official announcement or entry on our web site, and also as a way to keep members in the loop about some of what we do as an Executive. Essentially, micro-blogs are a means of communication to complement your existing blog or web site. Your classroom blog, for instance, may have blog entries detailing upcoming trips, what you'll be teaching in the current term, and so on, whereas the tumblelog would have reminders of when permission slips are due, photos of anything interesting that may have happened during the day, and similar less formal items. The visual format of a tumblelog is also aesthetically oriented towards shorter posts. Using Blogger to post day to day homework assignments would probably look like overkill, whereas it would be a better aesthetic fit on a tumblelog. Tumblelogs and other micro-blogs are another component of a comprehensive communications strategy. Whether it be a blog, a website, a wiki, a Yahoo Group, or a micro-blog, each tool may reach a different segment of our intended audience. Ideally, our audience will utilize all the communications tools we make available to them and become very well-informed. The real strength of using a variety of tools, though, is that each of these tools fills a niche that allows us to reach people with different communication styles.